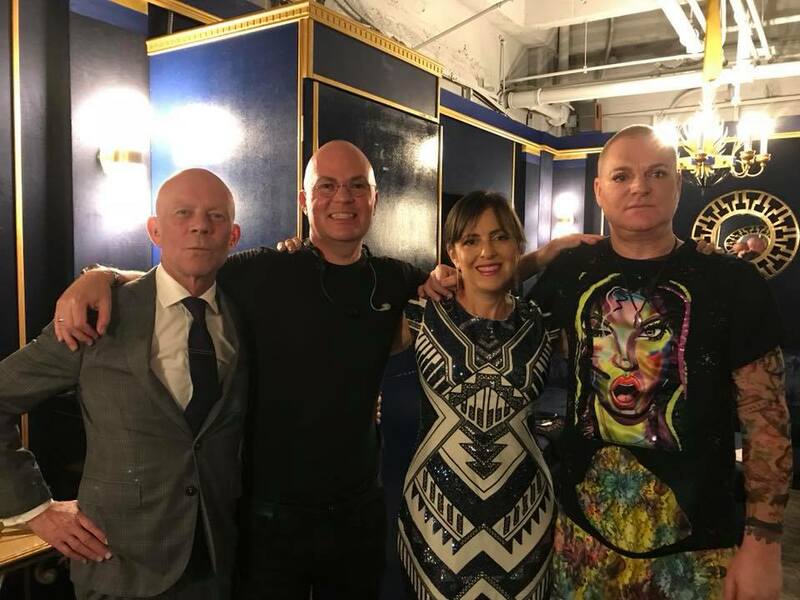 Championed by none other than Vince Clarke and signed to his Brooklyn-based VeryRecords, REED & CAROLINE have just completed a successful US tour with ERASURE. 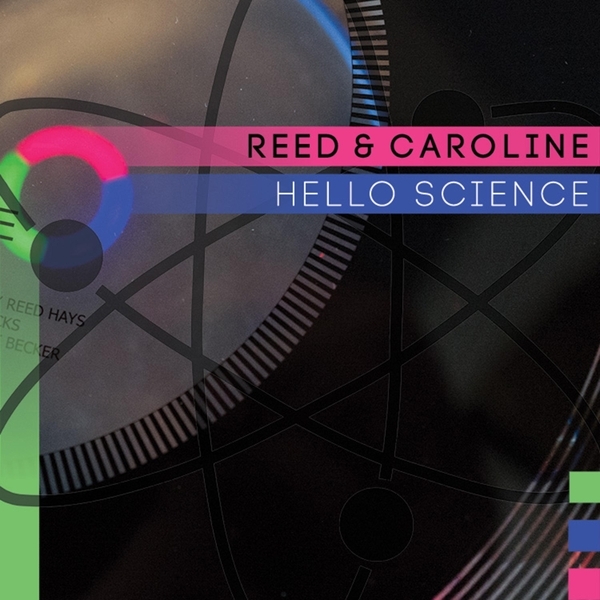 Reed Hays and Caroline Schutz’s 2016 debut album ‘Buchla & Singing’ did what it said on the tin, combining tunes with electronic experimentation but released in 2018, its follow-up ‘Hello Science’ is a much more on point as a distinct pop focussed offering suitable for live concert performances. What would you say is the creative dynamic of REED & CAROLINE? We have always contributed our musicianship to each other’s works. When Caroline was working with her band FOLKSONGS FOR THE AFTERLIFE, I was playing cello on music she wrote. For REED & CAROLINE she is singing on songs I wrote. 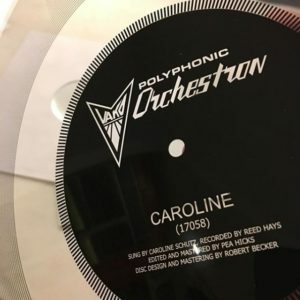 How do you look back on your debut album ‘Buchla & Singing’? I still like to listen to it, and we’ve performed some of the songs while we’ve been supporting ERASURE. The audiences have got misty-eyed during ‘John & Rene’, which is wonderful to watch. 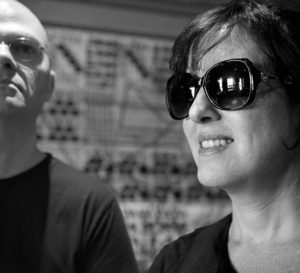 How did the Buchla come to be the instrument of choice for REED & CAROLINE? The Buchla spoke to me as soon as I heard my dad play a MORTON SUBOTNICK LP when I was a kid. I went to the only college in the US that would allow 18-year-olds to touch a Buchla. As soon as I made enough money from writing TV music, I started buying Buchla instruments. The pattern over several years was that I would use the Buchla more and more and sell off my other analogue synthesizers. When it came to doing other music, apart from TV stuff, it felt most comfortable for me to do it solely on the Buchla. You’ve added a Vako Orchestron to your armoury, where did you find that and what’s it like to use? It came from the fabled Sound City studio in Los Angeles during a revamp a couple years ago. It’s only real appearance in the pop canon is on three KRAFTWERK albums, and I’m a huge fan of how it sounds. The crackly, low-bandwidth character of the instrument sounds like you’re peering at the future from the past. You had sounds of your own customised and made into optical discs to use with the Orchestron, so who makes these then now? Once I started searching for people who knew about Orchestrons, I discovered Pea Hicks who lives in San Diego. Pea has access to the old machinery that made discs for the Orchestron and its predecessor the Optigan. What other synths or software are used in your recordings? I pretend ProTools is a tape recorder. For synchronization, I feed 16th-note audio clicks into the Buchla’s Envelope Follower. Your songwriting appears to come from a folk tradition which is something you have in common with Vince Clarke? I like simple melodies and whatever chords make them speak the best. I like modal interchange as much as the next guy, but Vince once reminded me that ‘Blowin’ In The Wind’ takes you on a journey with only three chords. 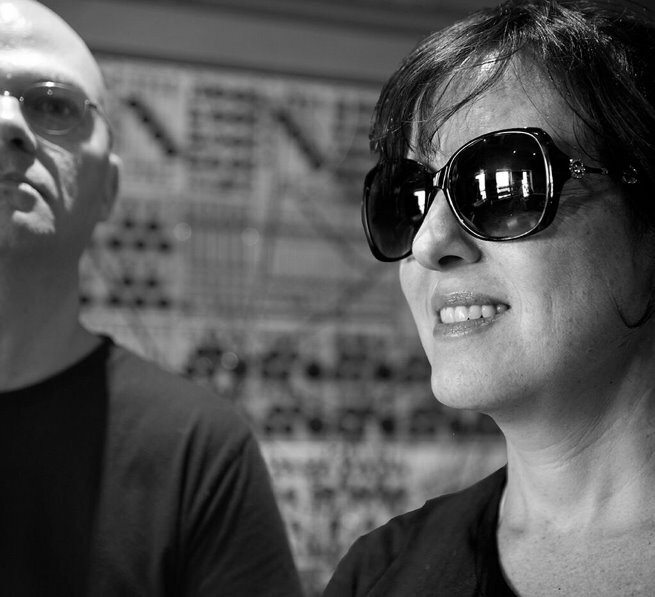 How did Vince Clarke and VeryRecords become interested in REED & CAROLINE? My friend Mark Verbos of Verbos Electronic helped to produce an event in Brooklyn called ‘Machines In Music’. He asked me if I’d give a lecture about using old synths in new productions. Halfway through the lecture Vince walked in with a mutual friend, and we wound up having lunch. Later the friend played my song ‘Henry The Worm’ from what would become ‘Buchla & Singing’ for Vince, who decided it would be fun to release on his VeryRecords label. What inspired the concept of ‘Hello Science’? I grew up in a science and engineering town that also had a space museum so I was surrounded by it from an early age. When I was little, there was a lot of idealism that science and technology would solve everyone’s problems. Now that I’m older, it’s less about a shiny future and more about science being discredited in these crazy modern times. Scientific concepts also make for convenient metaphors. The ethical dilemmas behind technological progress with regards the backgrounds of some of those scientists must have provided an interesting background to write to? Details of Operation Paperclip and the Dora Camp weren’t too public while I was growing up, but the concert hall where I played in the symphony orchestra did have a gigantic painting of Wernher von Braun. Interestingly, the title song of the new album is all cello? I took a small Buchla system and a cello to provide background music for an event that my painter friend Stephen Hall was involved in. When Vince heard a recording of it, he put it on the VeryRecords Soundcloud, and that set the stage for using cello on other projects. I didn’t know how Vince would react if I did something entirely on the cello, so at the very end of ‘It’s Science’, there’s one chime note on the Buchla, just in case he didn’t like it. ‘Entropy’ was an intriguing number and sounded like it was influenced by the ’Dance’ album period of GARY NUMAN which people rarely highlight? America’s introduction to synthpop was through GARY NUMAN on ‘Saturday Night Live’ at the very end of 1979. As a child, I was captivated. I hated the saxophones on ‘Dance’, but the pitch-shifted CR-78 drums were so cool. ‘Entropy’ was an opportunity to recreate that feel on the Buchla. I even made a polyphonic patch to mimic the Yamaha CP-30 electronic piano. ‘Dark Matter’ is a quirky little pop tune recorded with KITE BASE? How did that come together? There’s a YouTube video called ‘Two Bald Blokes & a Buchla’ where Vince interviews me and the camera pans to some rock stars that our friend Elia Einhorn brought to the studio. One of the rock stars was Ayşe Hasan of SAVAGES. Later on, while producing ‘Dark Matter’, I had a terrible time with the synth bass line. Everything seemed to slow down the track. Just when I wanted to scrap the whole song, I got a text from Ayse and her friend Kendra Frost that they were in New York. I set them up in the studio with two bass guitars and the rhythm track for ‘Dark Matter’. It was amazing watching them work out parts for the song. For the verses Kendra played low notes and Ayse played high notes, and for the choruses they switched roles. To come up with parts they sang them to each other, “Da da da da”. That sounded great, too, so I got them on mic singing for the breakdowns in the middle and the end. There seems to be a love / hate relationship with how technology has affected the world, ‘Digital Trash’ being a case in point which can be taken in many ways? Vince kept gently asking me to join social media after we made the first album, so there I was on Facebook and Twitter ten years after everyone else. I’m sure my friends went through that “nothing dies on the internet” thing a lot earlier than I did. ‘Computers’ is another one, what’s that about? Over the past couple hundred years, prominent male astronomers and rocket engineers had employed uncredited women to crunch the numbers. They were actually referred to as computers. The song wrote itself! 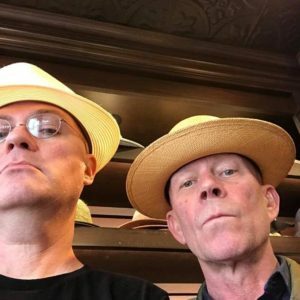 You’ve just finished touring North America with ERASURE, what was that like and how did you adapt you sound for the stage? After we did a little club date in New York to celebrate the release of ‘Buchla & Singing’, Vince asked if we’d tour with ERASURE. Upon realizing he wasn’t kidding I wrote the ‘Hello Science’ album with performance in mind. The big departure from the recorded albums is that I sing the backup vocals through a Xils EMS-5000 vocoder plug-in. There’s a small Buchla cabinet with patches accessible by unmuting channels in the mixer module. There’s also a NS Design cello on a tripod. It’s the ideal venue to hear two grown men eating roasted peanuts while listening to VISAGE. What’s next for REED & CAROLINE? Caroline is going straight from the airport to her daughters’ school to sign people up for the Parent-Teachers Association. That’s as far ahead as we’ve planned!